Testimonial 2: I had never wanted to do reproductions of my artwork before, because the colors and resolution were not good, and faded quickly. Craig Yorke had more vision than I, and has followed the cutting edge to being one of a small number in North america who have invested in an amazing system: he uses real pigments instead of fadeable dyes; has unique digital photography equipment that captures absolutely everything, and special printers which print on each sheet for hours, showing every particle of pigment in the original. As he foretold years before it was possible, one day I'd be a convert, amazed and delighted with what is now possible. I'm very gratefull for Craig's outstanding devotion to excellence, which made proofing with him an unexpected joy. I feel really proud of the quality of image he makes possible for us and glad to be able to have some of my best work so faithfully and lastingly reproduced. 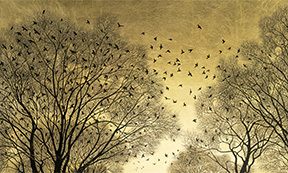 I never thought that I would hang several reproductions in our home, but it's a new era at the top of the highest quality art printing field. 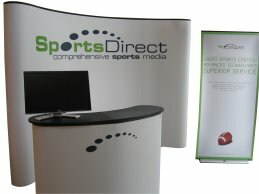 Testimonial 3: "Our Company was in need of a new booth for Trade Shows we would be attending. Image House Digital Inc. created our booth to perfection! Our panels, podium and banner stand all matched perfectly and turned out exactly how we had envisioned. Image House Digital Inc. met our deadline for materials due, and even offered our employees a free session on how to set-up and tear-down our booth properly to prevent any damage to the booth. Image House Digital Inc. are truly professionals in their work and deserve great recognition. Great job guys!! Testimonial 4: Since Image House started up as a digital service bureau some years ago, they've provided me with a constant knowledge and resource base for photographic digital solutions and as my needs change they offer an evolving service I just can't find elsewhere in the region. I find the demands for critical photographic work seem to increase exponentially some how and I need reliable and intelligent solutions which Image House unfailingly provide. Testimonial 5: Even though Image House has been around for years, we (The Legal Information Society of Nova Scotia) only just heard about you in the last 6 weeks. You were highly recommended by a volunteer, and boy was she right! We were given several options and some suggestions we would never have come up with ourselves. Our order was completed in record time and the quality was perfect! We unveiled the new banner and display at our recent event and Image House made the Legal Information Society of Nova Scotia look great! 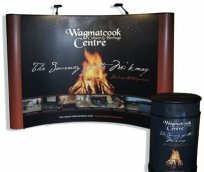 Testimonial 6: The Wagmatcook Culture & Heritage Centre would like to thank Image House for there dedicated and outstanding work on our booth. Since we changed our brand identity we wanted something that would captivate our audience and bring them here to our facility. The overall booth is easy to assemble and storage is very simple and does not take up much space. The options that we were given with this booth is truly remarkable and beneficial to us. This booth got lots of feedback and attention when I took it to the Saltscapes Expo in April/07 as our launch off our new booth identity. We plan on attending many tradeshows and believe we received the quality service along with a quality product that we expected. We strongly believe we got our moneys worth. We would highly recommend you to anyone. We thank you and look forward to doing business with you in the future. Keep up the good work Image House! Copyright © 2007 Image House Digital Inc. All Rights Reserved.